There was early drama on Sunday evening in Abu Dhabi, when Nico Hulkenberg suffered a significant airborne crash in his Renault on the first lap of the season finale. The dramatic incident saw the Renault driver fly through the air at the second part of the chicane, having made contact with Romain Grosjean in the first part, triggering a roll. “I'm very sorry for him, but there was nowhere I could go!” said Grosjean on the Haas team radio after the incident with Hulkenberg. While visually dramatic, the German racer emerged from the shunt unscathed – testimony to the ever-improving safety standards in modern Formula One. Hulkenberg was quickly extricated from the stricken vehicle, which was upside down in the barriers and at risk of catching fire. A chaotic finale featuring five retirements – several of them rather dramatic – brought the curtain down on the 2018 Formula One season. After Hulkenberg’s collision with Grosjean, Kimi Raikkonen ended his Ferrari career on the main straight following a total loss of power. Efforts to reboot the car came to naught. Marcus Ericsson’s last race for Sauber – and in Formula One – also came to a premature end with the Swede calling his car undriveable before retiring. 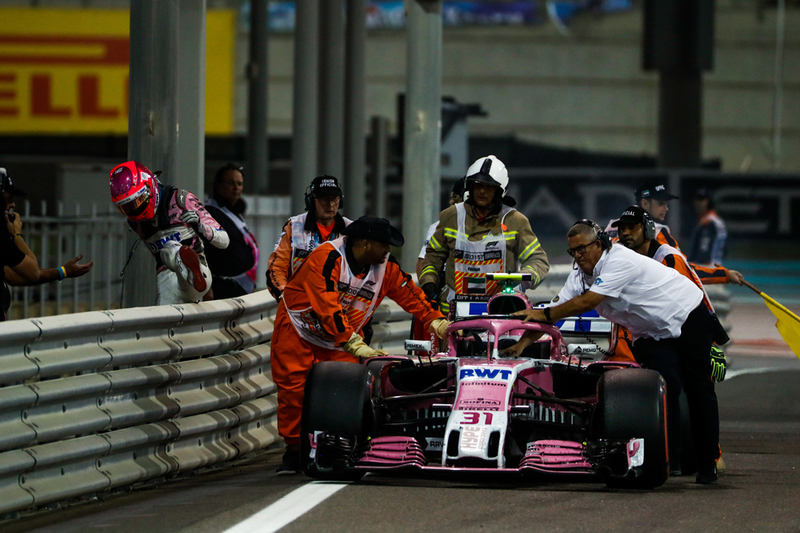 Esteban Ocon – also enjoying his last F1 grand prix – stopped thanks to power loss on the pit entry, while Pierre Gasly’s last race for Toro Rosso ended with engine failure. The long season has taken its toll on man and machine alike. The ‘other’ championship – the one involving everyone behind Mercedes, Ferrari, and Red Bull – was a close fought battle all year. 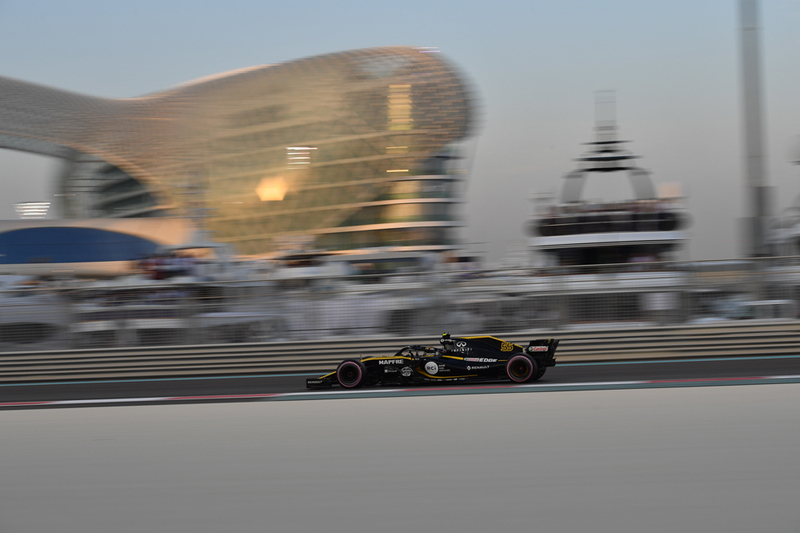 In Abu Dhabi on Sunday night it was Carlos Sainz who came out best of the rest with a sixth-place finish that saw the Renault driver cross the finish line more than a minute behind the podium finishers. Teammate Nico Hulkenberg topped the so-called B drivers’ championship with 69 points to Sainz’s 53, while Renault finished fourth in the overall constructors’ standings with 122 points, 29 clear of rivals Haas. 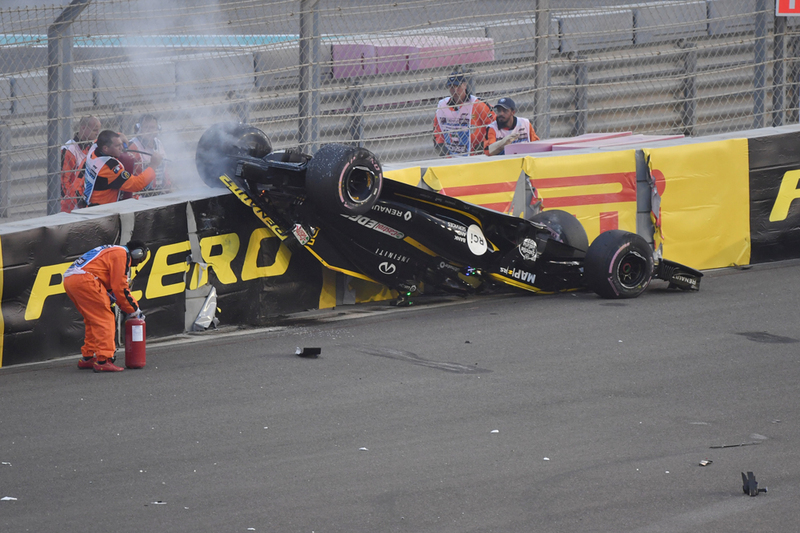 The Enstone racers’ achievement is all the more remarkable when Hulkenberg’s Abu Dhabi accident is taken into account.